Our Canadian Thanksgiving is coming up (October 8th) and our grocery stores have good prices right now on both turkeys and hams. 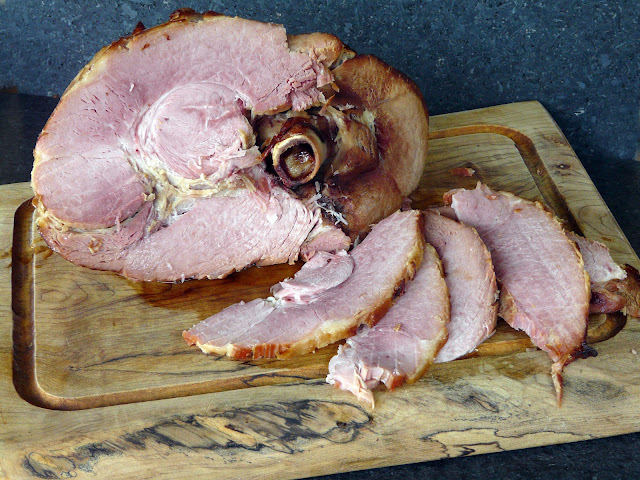 I love ham, especially bone-in hams. I couldn't wait until next week so I decided cook a ham last night and will roast a turkey for Thanksgiving. Lots of meat for a traditional ham dinner and lots leftover for ham and eggs, ham sandwiches and a pot of bean soup. I'm a purist when it comes to ham. I love just the natural flavour of a smoked ham. So I don't add anything to the roasting pan and the ham is not seasoned or glazed. 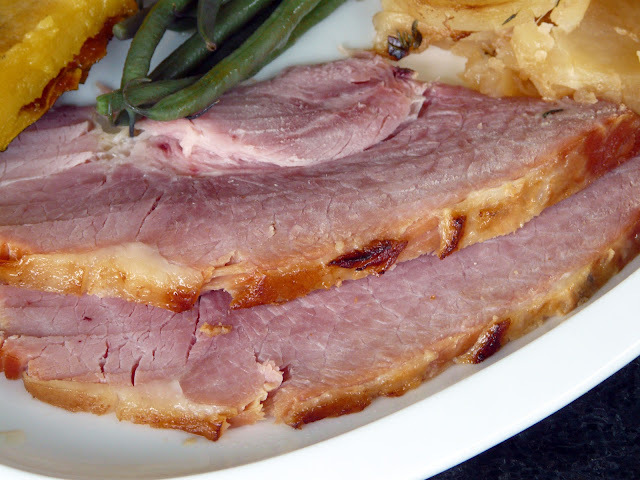 The ham goes into a pan and is thightly covered in foil and baked in a 300°F oven until tender. Cooking time depends on size. This ham took about four hours. 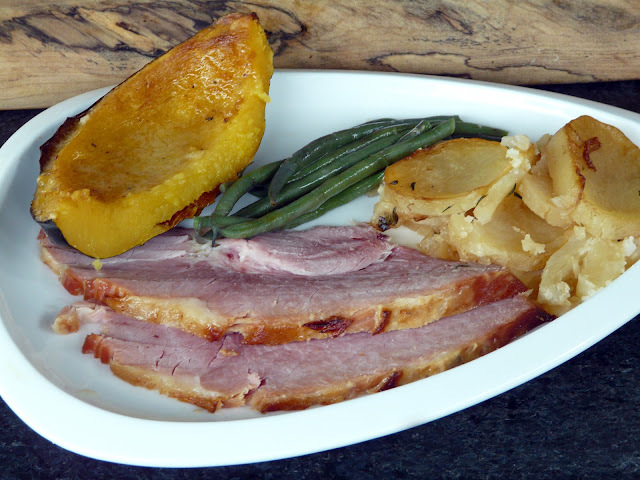 Served with baked acorn squash and fresh green beans. Both from local farms. And the potato gratin was made with chicken broth, seasoned with caramelized onions and fresh thyme. That looks so delicious! I love ham too, one of my favourite meats. Ann...that ham is making me so hungry right now and it is 1:00am...beautiful dinner! All of your dinners are beautiful! I better go to bed before I eat something! Me too Deb. Took a ham sandwich to work with me yesterday. This looks so delicious and that acorn squash yummm. Always a treat to look at your Blog. 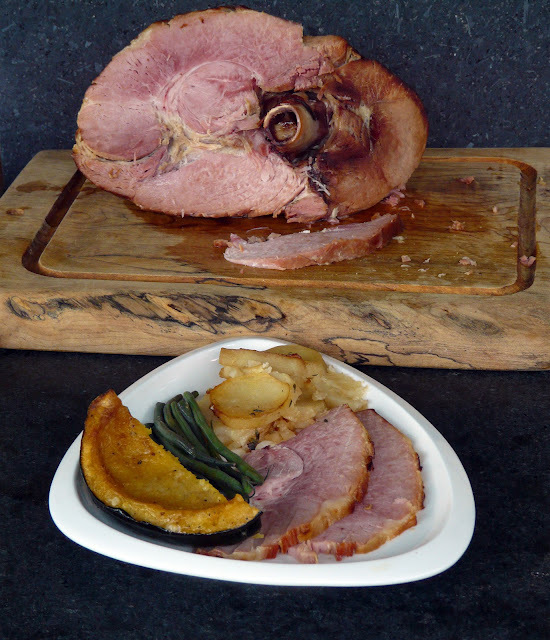 My family is ham-a-phobic, so I always take a look when ham is featured on a blog - just dreaming! This looks beautiful. Is it applewood-smoked? My mouth was watering after this post. I am happy to say that you inspired me to recreate this exact meal for this Sunday's dinner. Thanks!